Were you involved in a car, bike, truck, motorcycle or similar incident? Did you get injured in this incident? Was the other party uninsured? Think You Might Have A Case Against An Uninsured Motorist? If you are involved in a motorcycle, automobile, bicycle, or pedestrian accident and the at-fault party does not have insurance, then you might have an uninsured claim. The other situation arises when the at-fault individual flees the scene. In either of these cases, you can normally obtain an Illinois Traffic Crash Report to ascertain the identity and insurance coverage of that person as well as an Illinois Department of Transportation certification regarding similar information. If you are involved in a crash and the at-fault party does not carry enough insurance to cover all of your damages, then you might have an underinsured motorist claim. For instance, if the defendant only the covers the minimum amount of insurance as required by the state of Illinois, then he or she will only have $25,000 to pay for your injuries. However, if you sustain a severe injury that requires significant treatment and medical attention, your bills might be a lot more than $25,000 and in that case his/her policy will not be sufficient. 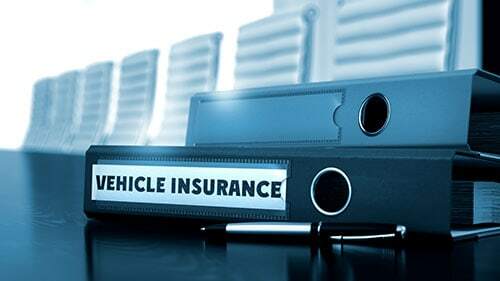 Both uninsured and underinsured motorist claims must be filed against the insurance policy of the injured person even though that might seem counterintuitive. These claims require technical procedures and skill. Often, certain steps must be litigated in court. Therefore, it is critical that you obtain experienced legal counsel for both of these actions so that your recovery does not dissipate because of the uninsured or underinsured driver. Rosenfeld Injury Lawyers LLC works with many accident victims including those who have been injured by uninsured motorists. We have the tools to turn your injuries into legal relief. If you would like to know how we can help you get the recovery that you deserve under the law, call our offices now.